The Property Law Section is part of the New Zealand Law Society. It aims to assist members of the public, as well as support the legal profession in property law matters. This website contains useful information and resources for you to refer to, and provides links to other handy sources of information. 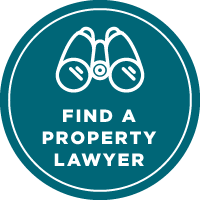 The ‘Find a Property Lawyer’ directory will help you quickly find a specialist property practitioner in your area. If you are a property practitioner or Property Law Section member, visit the Property Law Section of the New Zealand Law Society website for practitioner resources. Are you buying or selling a house? Thinking of ways to protect your property and other investments? If so, you will want to have proper safeguards in place. After all, dealing with property is likely to involve the biggest financial transactions you will ever make. Members of the Property Law Section of the New Zealand Law Society have made a commitment to keep up to date with the frequent changes in the law in order to give you peace of mind and a truly professional service. deal with your property in the event of your death. The New Zealand Law Society produces information pamphlets as part of its “Law Awareness” programme to inform you of your legal rights, the law and how lawyers can help you. The New Zealand Law Society is not able to provide legal advice but may be able to assist with general information. If you have any queries relating to a property law matter, please contact property@lawsociety.org.nz and we will do our best to help.